Garlic after cleaning process. 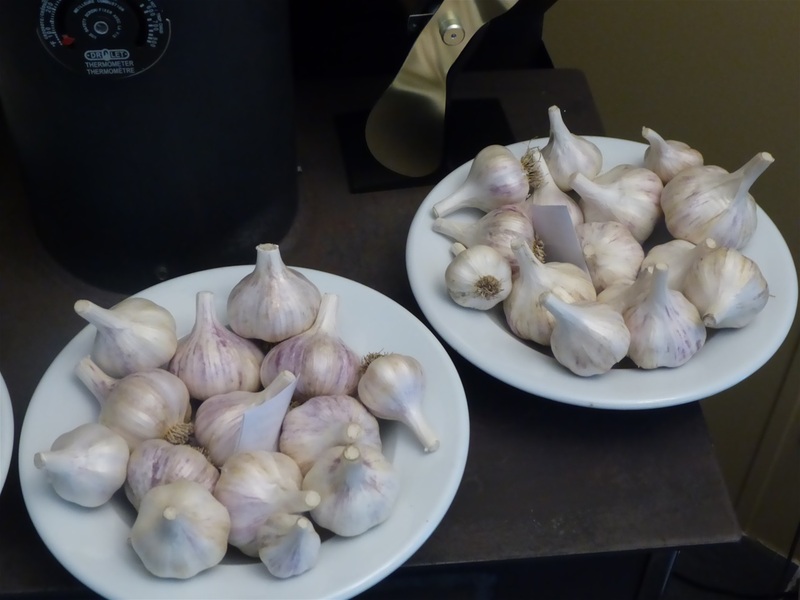 You want to take off just the first wrapper or 2 depending on the type of garlic. Some garlic have only a few layers of wrappers while others have an extra few layers depending on type. You want to take off the wrapper that has dirt and debris on it. You then cut your garlic stem and leave a 1 inch stock stem on it. Don't leave the stock any longer as it makes it hard for packaging and is the industry standard for esthetics.